Copyright MITSUI & CO. All Rights Reserved. Higashimatsushima City in Miyagi Prefecture is striving to rebuild after suffering tsunami damage with the vision of becoming a "FutureCity" - this is the challenge for recovering Higashimatsushima, the city which suffered the most serious damage in all of Miyagi from the Great East Japan Earthquake in March 2011, as well as a challenge which most regional cities in Japan are expected to face in the near future. At the time of the disaster, 65 percent of Higashimatsushima was flooded and over 15,000 residents were evacuated. However, the city was able to quickly begin reconstruction, largely because of both decentralized community building, and future-oriented strategies utilizing the know-how gained by removing debris when consecutive earthquakes struck northern Miyagi in 2003. Over 2000 people participated in meetings to discuss reconstruction, which were conducted as a series of workshops, instead of the prevailing style of one-sided briefings. During the discussions, some residents shared the opinion that independent power sources were necessary, leading to the development of a model renewable energy district. 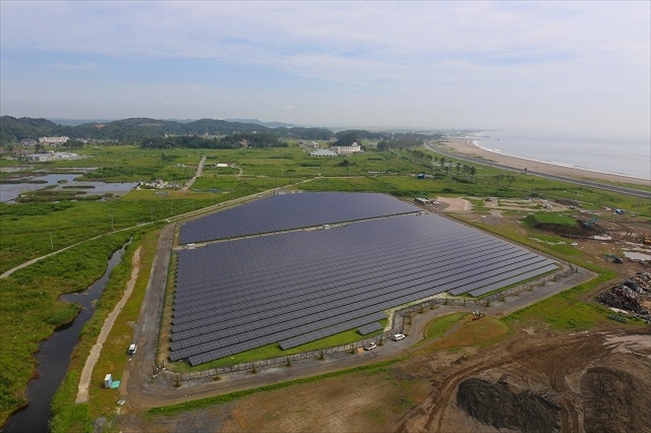 Also, Higashimatsushima was the first to build a large-scale solar power plant in the tsunami-hit areas, as a first step toward an energy system with independent and decentralized energy sources, the type of system sought by the city. The Higashimatsushima Organization for Progress and Economy Education Energy, an organization nicknamed HOPE, was established with participation by citizens, city government, the local chamber of commerce, and major companies, recognizing that disaster reconstruction will never be possible without building partnerships between local governments and citizens. Gathering all the stakeholders and information into one place at HOPE facilitates mutual understanding and smooth coordination among stakeholders, and HOPE now functions as the main contact for universities, research institutions, non-profit organizations, and other local communities. A substantial advantage of Higashimatsushima City lies in the power of the people, beginning with its municipal employees.